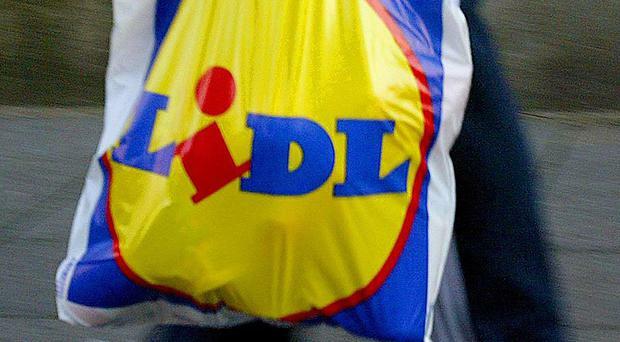 The 5p carrier bag levy is to be reviewed by next April, the Agriculture Minister has said. Michelle McIlveen said officials would consider three options, including increasing the charge to 10p for all bags as well as scrapping the fee. She told MLAs during Question Time at the Assembly: "We have committed to deliver a statutory review of the carrier bag levy by April 2017. "They will be looking at three options, maintain existing arrangements, discontinue the existing levy and remove the 5p charge, and finally, increase the levy to 10p for all bags with the threshold extended to 40p." According to official figures released in August, there are 199 million fewer carrier bags in circulation than when the levy was introduced in April 2013. Money generated has been used to fund a range of environmental improvement projects. The Minister added: "It has had an impact right across Northern Ireland." Some £1.8 million has been allocated to the Natural Heritage Fund; £400,000 was used to tackle illegal dumping while £500,000 went towards urban clean-up programmes. The Challenge Fund was also set up to help schools and community groups deliver small scale projects. Among the organisations to benefit were The Mornington Community Project which received £8,000, the Greater Village Regeneration Trust which got £7,454, and Windsor Women's Centre which received £7,998. The forthcoming review will cost £23,452.